LOTTE ENTERTAINMENT l set the release date for 13th February in Korea! 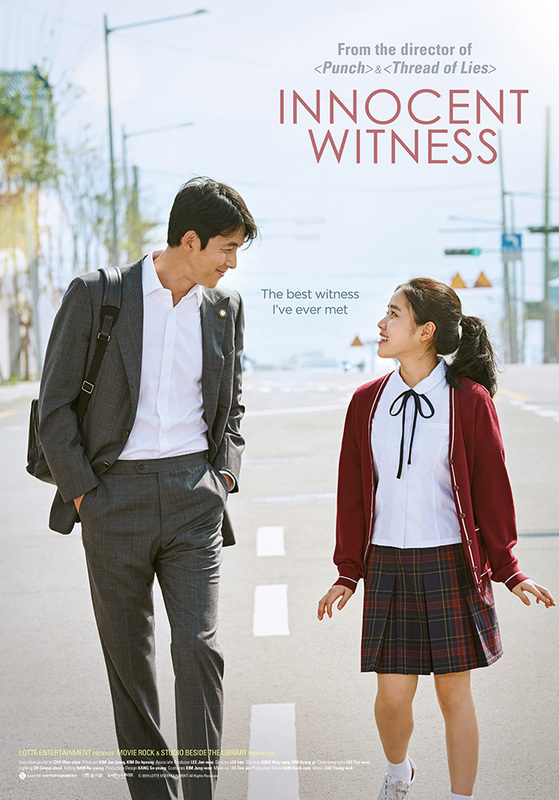 INNOCENT WITNESS has confirmed a theatrical release in Korea for February 13. The story begins as Sun-ho, a murder suspect’s lawyer, meets the case’s only eye witness, Ji-woo, a schoolgirl who has autism. We follow on a heart-warming journey of friendship as the two people who are a world apart grow to understand each other. The next well-made court drama to come out of Korea following THE ATTORNEY and NEW TRIAL has released the main poster and trailer, and the deeply-moving onscreen interaction between the two actors is making a lot of buzz about the film. Synopsis : An old man suffering from depression is found dead, and his housekeeper, Mi-ran, is charged with the murder. Mi-ran’s defense attorney, Sun-ho, is surprised to learn the only witness to the crime is Ji-woo, a teenage girl with Asperger’s. Will Ji-woo be able to take the stand and provide a valid statement?